Whether you want to buy in Bath or Bangkok, London or Lisbon, Devon or Denver, buying a second home or holiday home is a huge commitment. Discussing your finances with a professional planner is always advised in a property purchase, but there are some generalities that can be made in discussions about financing second homes. Releasing equity from your first home is one option and a variety of loans also exist to help second and holiday home buyers. In order to purchase a second home, many prospective buyers release equity from their first home to fund the deposit or the purchase price of the holiday home outright. In order to use their equity, mortgage holders can either ask for more funds from their existing lender or re-mortgage with another lender. 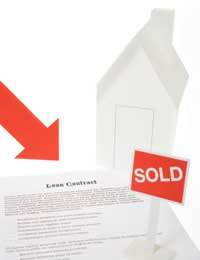 To prove that they can afford these new terms, prospective buyers may need to prove their personal income and finances. Loans with variable interest rates often tempt buyers because the "honeymoon" period on them can be very attractive. This period will often be set at a very low interest rate, but when it ends the loan then returns to a standard interest rate. As a variable rate loan, this interest rate will then change according to interest rate fluctuations and may go higher than the borrower expected. On the plus side, very often extra repayments are allowed and some withdrawal of extra repayments may be acceptable as well. Fixed rate home loans are exactly that, fixed at a specific interest rate for a given period of time. Fixed rate loans can also be a gamble as interest rate fluctuations may drop lower than the rate fixed for the loan. Extra repayments are often excluded from fixed rate loans and there may be a penalty for repaying the loan early. Taking a split rate loan is a way of looking for the best of both fixed rate and variable rate loans. In a split loan, the borrower leaves a portion of the loan at a fixed rate and allows the remaining portion to enjoy (or endure) fluctuating interest rates. While the terms of these loans will vary, often the borrower may be excluded from making extra repayments or be penalised for repaying the loan early. Like releasing equity from a first home, reverse mortgages allow homeowners to use the equity that they have built up to be "cashed in" and used for other purposes, such as second homes and holiday homes. Reverse mortgages are generally offered to older borrowers, and rather than having the equity that was released tacked on to an existing mortgage (and monthly repayments), the extra lump sum is due when the house is sold, the home owner moves primary residence or the home owner dies. A variety of options exist for homeowners looking to purchase a second home or holiday home. Those with significant equity in their first homes tend to have greater options, but a professional financial advisor will be able to advise any buyer on what is right for their situation. Regardless of what a potential buyer considers, they should take care not to endanger the safety of their first home in the search for a second home. Other than that, deciding what feels most comfortable for their finances and desired lifestyle is what must guide the holiday home purchase process.